In a crowded world, how do we make our voices heard and reach our charity's target audience? I suggest that we do it by returning to the essence of communication – as one person to another – through case study voices. Real experiences grab attention; an authentic human story keeps people watching, absorbing messages and ultimately changing behavior. A good example of the success of this approach is a series of DRTV ads I directed for Cancer Research UK, which featured the experiences of real cancer survivors instead of actors. The films have become their most successful fundraising campaign to date. I've developed Magneto's approach through my work as a TV documentary director, and as a charity volunteer who realised the huge potential for peer voices to provide information, support and motivation. Here are my top tips for working successfully with case studies in video. Establish a clear brief with key messages that you want to communicate. Find people through your volunteer network, case study database or production company who can communicate those messages through their own experiences and in their own words. Nurture relationships. Build time into the schedule so people feel calm and able to be themselves in front of the camera. If possible film them in a familiar place. It's not about the technology and crew, but about them and their story. For a behaviour change brief, choose people who mirror the diversity of your target audience. Avoid experts, as messages can be more easily accepted if they come from people who we perceive to be like us – especially when targeting hard to reach groups. Peer role models offer realistic and practical solutions. Find people who can share barriers they faced and coping strategies for overcoming them. It takes a lot of bravery to volunteer to be interviewed. People should be treated with respect, kindness and dignity at all times. This includes giving them as much information as possible about the process and the sequence of events. Keep it real. It's the authentic human story that will draw people in and keep them watching. Don’t try and put words into people's mouths and give them scripts to learn; that's what actors are for. Rather, draft questions which will deliver the key statements you need. Give people a sense of the questions to be covered, but avoid handing over a list as some people will learn and rehearse answers. Accept and expect the unexpected. That's the beauty of real people, they are unpredictable. They will add a perfect comment or angle out of the blue which makes the piece. Be honest. Being realistic about a situation, rather than glossing over problems, will help people engage. Tread gently. Be prepared to listen and edit. Magneto produce powerful award winning films featuring the experiences of real people's lives. Real stories that engage, inform and change attitudes. 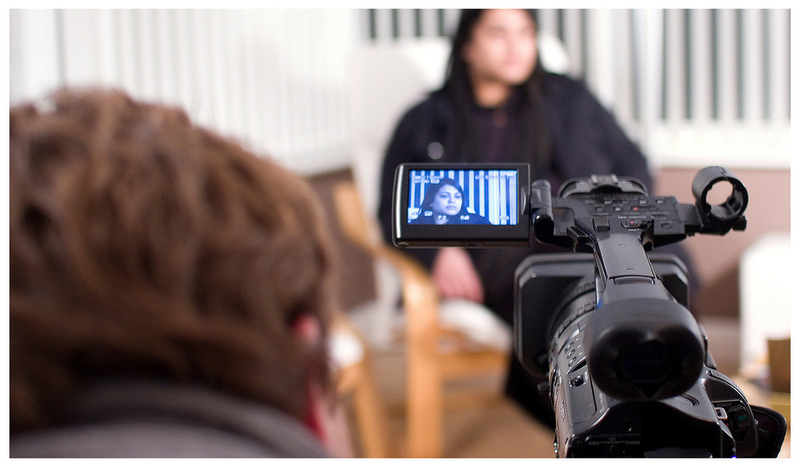 Working with leading charities, the public sector and top companies to communicate key messages through moving image.